21 year old Haitian-Japanese tennis player Naomi Osaka has just won her second Grand Slam championship back to back. 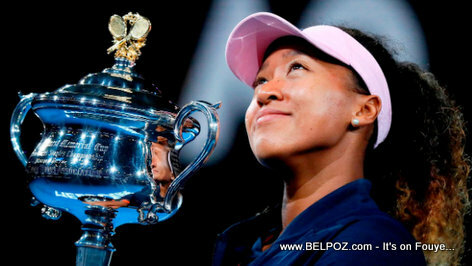 Osaka is the 2019 Australian Open Champion and she is projected to become world No. 1 when the new statistics come out Monday on 28 January 2019. UK Telegraph] reports, Naomi Osaka became the first maiden grand-slam winner to double up at the next major since Jennifer Capriati in 2001.